Use with 3/8" flexible water lines (typically, braided stainless steel). Connects to the lower end of the flexible line. 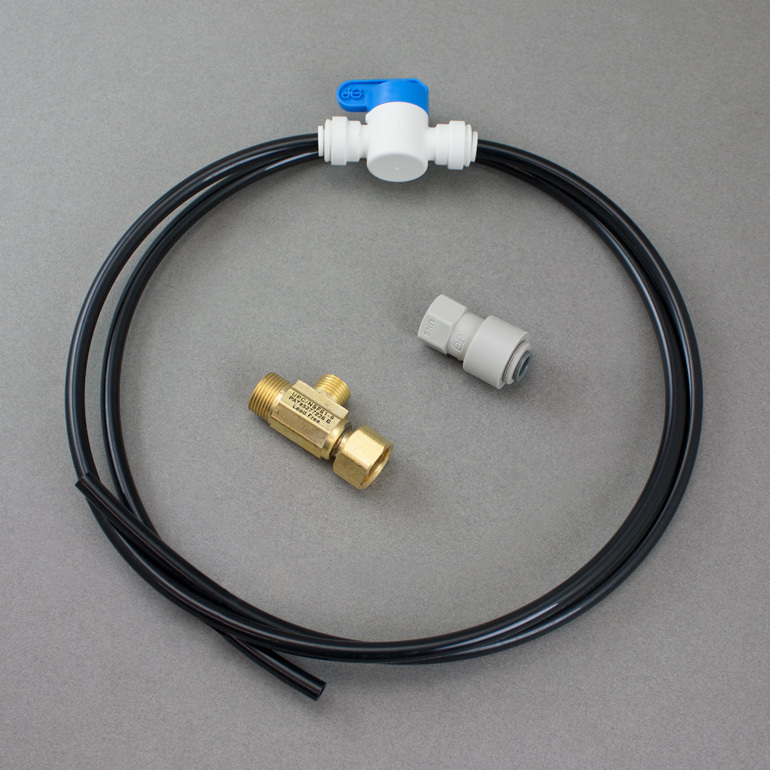 This adapter comes with inline valve (see jg039 below) and tubing. Everything you need to connect a 1/4" inlet line.